I am an odd one – I like my tuna either raw or canned. Every time I eat seared tuna, it upsets my tummy! The cat says we should have seared tuna all the time so I give him my share! Your cat is obviously an aristocat 👑 Nothing but the best! I probably gave him something less-than-acceptable this morning, which is why he threw up on the kitchen floor today! 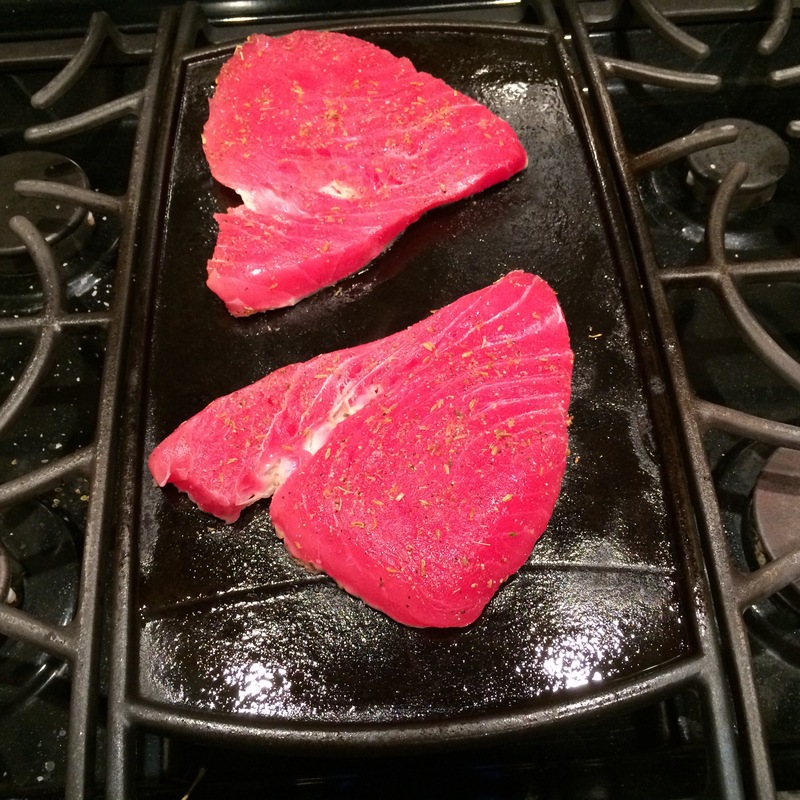 The “husband approved seal” is so much fun – and a wonderful indicator of how tasty the tuna steaks are. I’m also a big fan cast iron cookware. My nested vintage cast iron frying pans are my go-to frying pans. 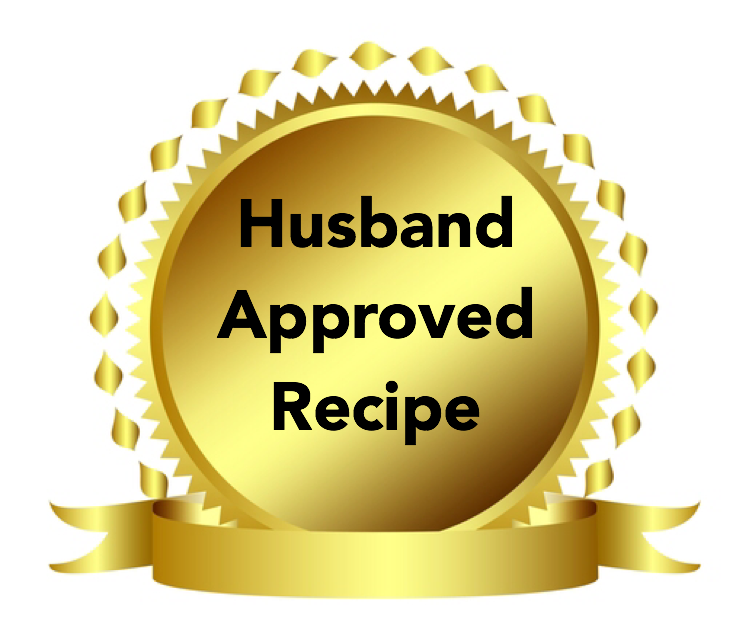 After the zucchini tofu incident, I thought I would start with a husband approved category. Now I am thinking of adding a eating system for everyone.😉 It is occasionally a challenge to meet everyone’s individual preferences and I do not want to have to make multiple dishes, if I can help it. 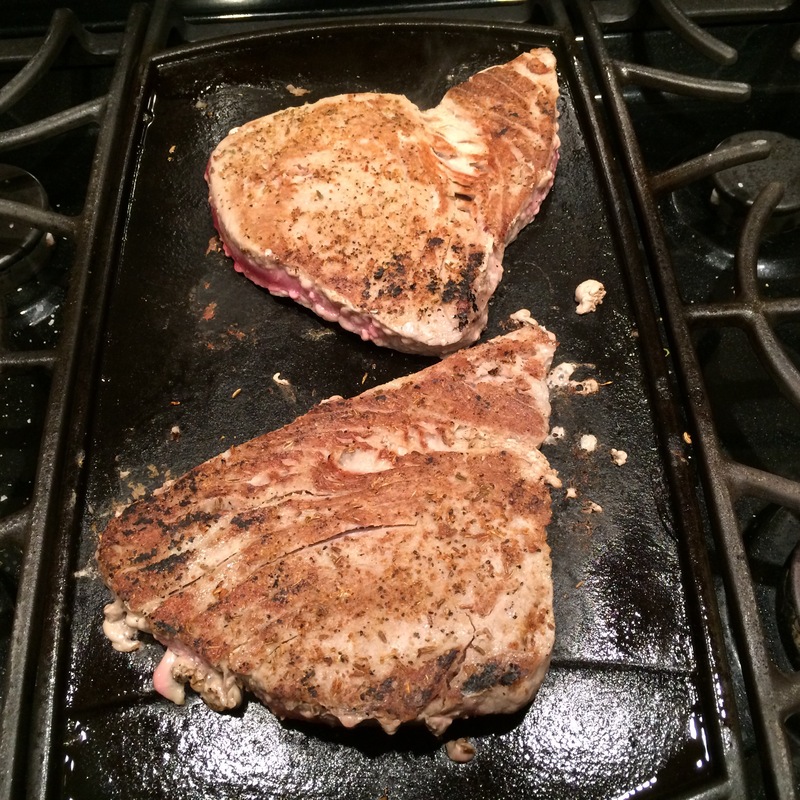 Your cast iron pans sound wonderful! As they are older, do they cook differently once they are well seasoned? We get fresh tuna all the time here and I run out of different ways to cook it. I’ll bookmark this recipe for sure and try it later. I love your pictures! They make it look really appetizing. This looks delicious! And I posted something twice too trying to figure out the WordPress feature, oh well. Anyways I’ve been cooking salmon lately. 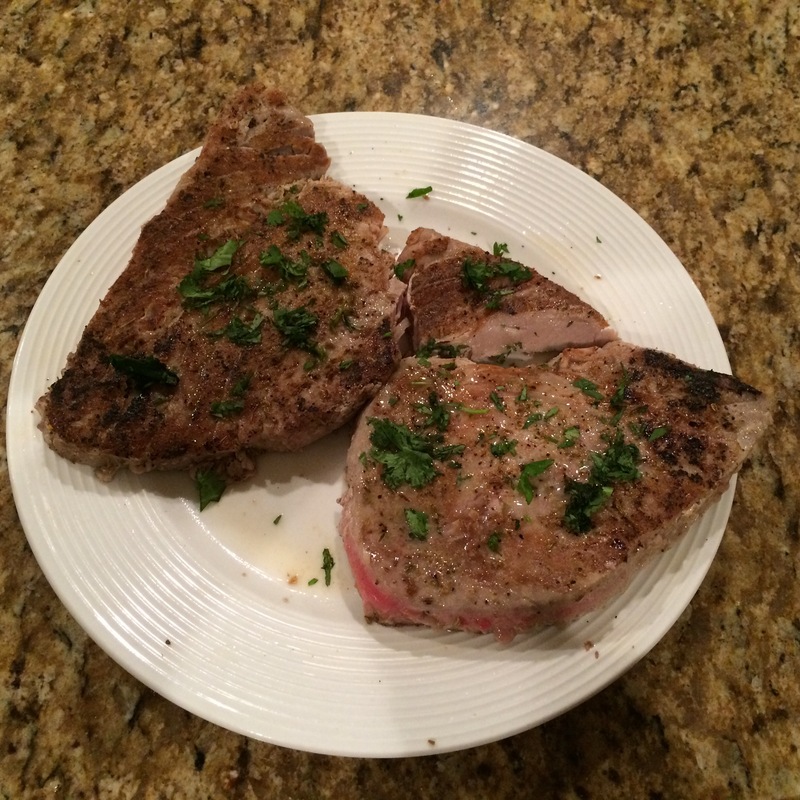 This recipe would be a nice change…thank you for posting. It is my pleasure and thank you for visiting! Enjoy! Love the husband approved recipe label. 🙂 Tuna is a low calorie, excellent source of protein full of flavorful palatable taste when prepared properly. A great entree to include on a weekly basis. Well done!